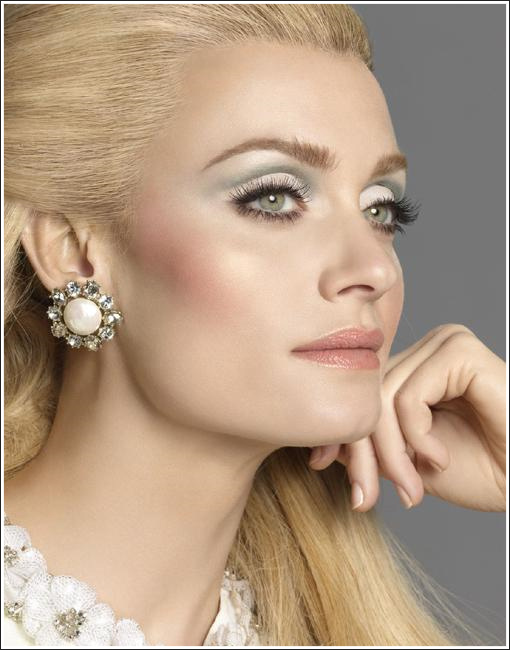 I needed to let you all know about this collection, well because It is inspired by Catherine Deneuve and the movie Belle Du Jour, which is where the name of my blog came from. One of my favorite movies of all time! Amber Valetta's look here is dead on to Catherine's character Severine here. By the way, if you have not seen this movie, WHAT ARE YOU WAITING FOR? The makeup and the fashion is out of this world. Anyway, as soon as I heard about this I ran over to my favorite NARS girl @ Soho Bloomingdale's. She showed me the new goodies. My hopes were not too high because the recent NARS collections have been very disappointing to me. Moving along, the only this that stood out to me was the "Burn It Blue" cream eye shadow duo. It is a duo made up of an iridescent blue and a deep aqua. Gorgeous! I also checked out the new cream blush, I HATED it. The color was beyond gorgeous, a light peach. I mean it would have been the perfect color except for the chunks of glitter flecks in it that made it look chunky! Clearly, I passed on that. However, the Burn it Blue was worth the trip. I cant wait to wear it with a tan and coral lips! Gorgeous summer look! My NARS gir, Stephanie,l pre-sold it to me, as Bloomingdale's is having their annual Beauty Event on Thursday. If you go to Bloomingdales, visit her. She is fabulous! Okay so, basically when you buy anything and spend over $50 at any counter you get free gifts. I pre-bought a few eye shadows from NARS (Blondie, California, Corfu and Pearl Beach), my face powder, La Mer Face Cream and I will prob pick up more on Thursday. She showed me the gift from NARS, it is a free duo lip gloss and a Duo Multiple Compact with Riviera and Portofino in it, I think. I can't remember but I will let you all know when I go pick it up. What else do I need? Any suggestions? I saw the images last week...boring as hell. 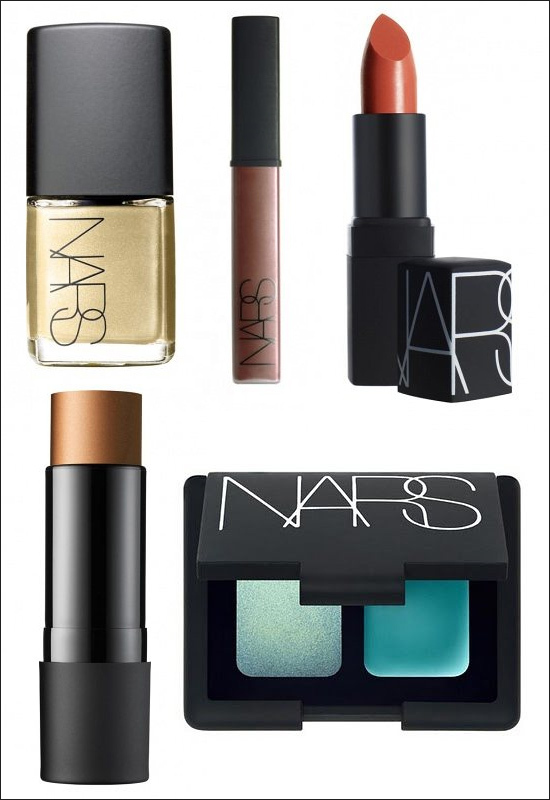 NARS Misfit duo would stunning on you with a tan! I know you tend to shy away from colour on your eyes, but this would look fab on you. Makeup Kitten- check it out, it didnt grab me in person! Yinka- you know me well, I am not a color girl! I got the blue one, very adventurous for me. Tell me about misfit, maybe ill pick up!!! Love the movie and catherine Deneuve. She is beautiful. I may have to check out the Bloomingdale's counter here in SF on Sunday. Which my husband will hate since it's our Wedding Anniversary and all...hahaha oh well. What did you think of the lip gloss?